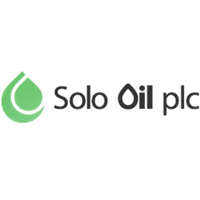 Shares in Solo Oil PLC with ticker code: LON:SOLO has gained 8.97% or 0.13 points during today’s session so far. Market buyers are a positive bunch during the trading session. The high for the period has peaked at 1.58 dipping to 1.43. The total volume of shares traded by this point was 2,274,164 whilst the daily average number of shares exchanged is just 4,208,583. The 52 week high for the shares is 5 some 3.55 points difference from the previous days close and putting the 52 week low at 1.4 making a difference of 0.05 points. Solo Oil PLC has a 20 SMA of 1.89 and now a 50 day SMA of 2.11. Market capitalisation for the company is £9.98m at the time of this report. The share price is in GBX. Mcap is measured in GBP. This article was written with the last trade for Solo Oil PLC being recorded at Thursday, December 13, 2018 at 11:55:18 AM GMT with the stock price trading at 1.58 GBX. Shares in Shire PLC found using EPIC: LON:SHP has stepped up 1.98% or 90 points during today’s session so far. Market buyers have stayed positive while the stock has been in play. The periods high has already touched 4662 and a low of 4619. The total volume of shares exchanged through this period comes to 2,331,167 while the average shares exchanged is 4,939,538. The 52 week high price for the shares is 4827.75 amounting to 287.75 points different to the previous business close and a 52 week low sitting at 2940.5 which is a difference of 1599.5 points. Shire PLC has a 20 day moving average of 46.02 with a 50 day MA at 45.64. The market cap now stands at £42,423.79m at the time of this report. The share price is in GBX. Mcap is measured in GBP. This article was written with the last trade for Shire PLC being recorded at Thursday, December 13, 2018 at 12:02:06 PM GMT with the stock price trading at 4630 GBX. 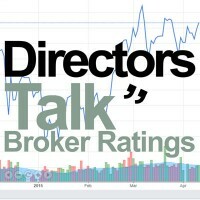 The trading price for Standard Life Aberdeen PLC with ticker code: LON:SLA has risen 2.1% or 4.9 points throughout today’s trading session so far. Market buyers have remained positive while the stock has been in play. The periods high figure was 238.4 and hitting a low of 233.1. The total volume of shares exchanged through this period comes to 2,268,836 with the average number of shares traded daily being 9,771,840. The 52 week high is 445.06 some 212.01 points different to the previous business close and a 52 week low sitting at 219.1 making a difference of 13.95 points. Standard Life Aberdeen PLC now has a 20 SMA of 259.29 with a 50 day simple moving average now of 278.85. The market cap now stands at £6,041.53m at the time of this report. All share prices mentioned for this stock are traded in GBX. Mcap is measured in GBP. This article was written with the last trade for Standard Life Aberdeen PLC being recorded at Thursday, December 13, 2018 at 12:02:06 PM GMT with the stock price trading at 237.95 GBX. Shares of TUI AG EPIC code: LON:TUI has risen 5.22% or 59.5 points during the course of today’s session so far. Market buyers have remained optimistic during the trading session. The periods high has already touched 1218.5 while the low for the session was 1167.5. The number of shares traded by this point in time totalled 1,050,838 with the average number of shares traded daily being 1,589,980. A 52 week share price high is 1816 equating to 677 points difference from the previous days close and putting the 52 week low at 1075 a difference of some 64 points. TUI AG now has a 20 SMA of 1206.83 and now a 50 day MA at 1286.94. The market cap now stands at £7,810.27m at the time of this report. Share price is traded in GBX. Mcap is measured in GBP. This article was written with the last trade for TUI AG being recorded at Thursday, December 13, 2018 at 12:02:02 PM GMT with the stock price trading at 1198.5 GBX. Click SHP SLA SOLO TUI for the full archive.